Film Fatale is back! To celebrate our eighth birthday, we return to where it all began — The Sugar Club. This time we’re bringing the sparkle and glitz of our famous Gatsby’s Mansion IMMA party to the intimate and luxurious surroundings of Dublin’s most famous cinema club. Relive the era of Gatsby and vintage glamour at our Roaring Twenties party where you will dance yourself into a Charleston frenzy with Dublin’s most famous Vintage DJ duo, The Andrews Sisters’ Brothers. The giggle juice will be flowing, bottles of bubbles will be popping, dresses will shimmer and sparkle, top hats will be tipped, the gambling table will be jammed, fan dancers will dazzle and the Film Fatale Follies — the epitome of 1920s glamour — will blaze the stage. This is strictly a 1920s/1930s event — the moll at the door won’t let you in if you ain’t dressed in vintage style, so put on your vintage glad rags and flaunt your inner Daisy Buchanan or Jay Gatsby, or come as a gangster or flapper. So pop that bottle of bubbles and fix your braces old sport and join us in bringing the greatest party in all of literature and film to life. This Halloween, Prohibition: the Beautiful and the Damned at IMMA brings you the 1920s you know and love with a taste of the Underworld — a night of gothic glamour, strange curiosities, the bewitching and the bizarre. Embrace the darker side of the Twenties at Ireland’s most elegantly decadent Halloween celebration. The juice-joints will be serving blood-red bathtub gin punch. The fiendish fan dancers and frightful flappers will haunt the stage for the Dance Macabre show. Try our new Guys and Ghouls 1920s speed dating. Or dance for your soul to live ragtime and old-meets-new Twenties fusion, the Monster Mash, and vintage and electro-swing DJs. In our Parlour room, Film Fatale in association with Bram Stoker Festival, will enthrall and excite with ghastly tales and gothic performances. This is a vintage-themed event and strictly fancy-dress. We want you to flaunt your inner fiendish flapper or gangster, or pay homage to Twenties horror and silent movies. However you come, we want you to look frightfully good. This is, after all, a night of unspeakable glamour. Irelands biggest Prohibition Party is back, this time even bigger and better. Join us on 14 March for an alternative St Patrick’s Weekend party, as Film Fatale returns the Prohibition-era experience to Dublin’s IMMA for a party that will relive the decadent days of Gatsby, gangsters, flappers and 1920s glamour. Dublin’s IMMA will be transformed once more into an opulent 1920s fancy-dress party, the kind of elegant yet wild soire that would do Jay Gatsby proud. It will be even bigger as we open up more secret rooms, more bars, more performers, a silent cinema and more sparkle, glitz and glamour. Inside the majestic doors of IMMA, there will gambling gangsters, fast-footed dancing flappers in sparkling ensembles, exotic fan dancers, and people Lindy Hopping to our 1920s ragtime bands The Ragtime Ramblers and The Great Gatsbies. Meanwhile, you can do the Charleston to retro DJs The Andrews Sisters’ Brothers or dance your socks off to an Electro-swing set by DJ Mimi Rouge. There will be one room dedicated solely to 1920s and 1930s Prohibition era, the music it has inspired and dance-your-socks off electro swing. IMMA’s gothic chapel will become the Punch Parlour, a perfect place to drink prohibition-era “bathtub gin” and dance to your favourite vintage hits from the 1920s to the 70s. Show your moxy through the rags you wear and set the scene by dressing up in your vintage finest or pay homage to 1920s silent movie stars, dames and fellas, flappers and philosophers, or gangsters and their molls. Tell your friends, people you like but trust but no one else — this event is on the QT so shhh! Keep your trap shut, don’t wear iron and no funny business or we’ll all end up under glass. It’s gonna be swell kid! Step back in time and party like it’s 1929 as Film Fatale transport you back to the decadent days of Gatsby, gangsters, flappers and 1920s glamour. 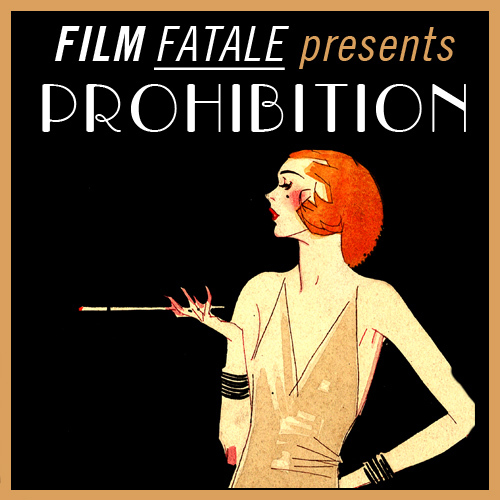 Hidden away from the prying eyes of the fuzz, there’s a hopping joint full of the sweetest looking dames and the hardest trouble boys, a prohibition night that will evoke the mood of a 1920s speakeasy for you to drink your bootlegged hooch and celebrate this hedonistic era with wanton abandonment. 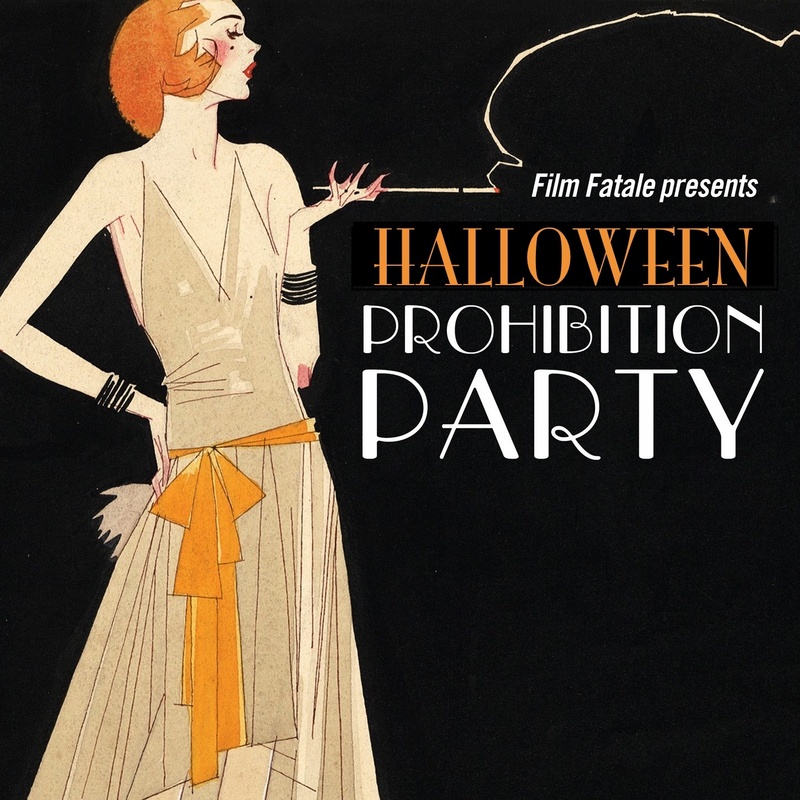 This Halloween, Film Fatale brings you the Prohibition-era experience. Dublin’s IMMA will be transformed into an opulent 1920s Halloween fancy-dress party, the kind of elegant yet wild soire that would do Jay Gatsby proud. Inside the majestic doors of IMMA, there will be fast-footed dancing flappers in sparkling ensembles, exotic fan dancers, people Lindy Hopping to our 1920s ragtime band or doing the charleston to retro DJs The Andrews Sisters’ Brothers. There will be one room dedicated solely to 1920s and 1930s Prohibition era, the music it has inspired and dance-your-socks off electro swing. IMMA’s gothic chapel will become the Punch Parlour, a perfect place to do the monster mash, or dance to your favourite vintage hits from the 20s to the 70s. Drink prohibition-era “bathtub gin” punch, listen to cabaret and have your photo taken at the silent film photo booth. There might even be some saucy burlesque and some “gambling”. There ain’t no rules in this joint. Show your moxy through the rags you wear and set the scene by dressing up in your vintage finest or pay homage to 1920s silent movie stars, dames and fellas, flappers and philosophers, or gangsters and their molls. This is a Halloween fancydress event but the dress code is vintage inspired. Tell your friends, people you like but trust but no one else —this event is on the QT so shhh! Keep your trap shut, don’t wear iron and no funny business or we’ll all end up under glass. It’s gonna be swell kid!